The key to knock-your-socks-off, "slap yo' momma" BBQ is keeping the temperature even and consistent throughout the cook. "How am I supposed to do that on charcoal?" you might worry. The important thing to remember is this: Don't be intimidated by cooking on charcoal. 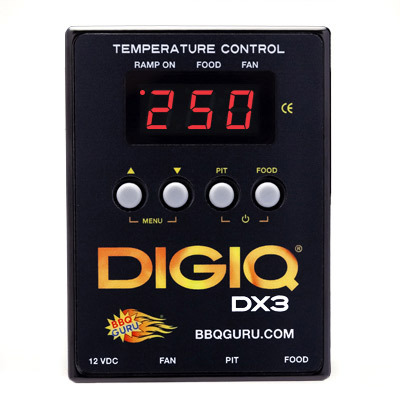 BBQ Guru's temperature-control devices automatically and constantly control your cooker's fire with their patented power-draft technology. In other words they do the work for you by quickly bringing your cooker to target temperature, regulating the fan, and delivering the precise amount of airflow to the charcoal. 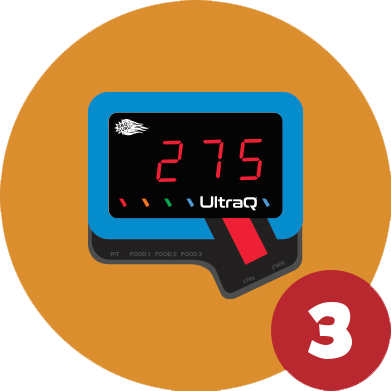 We've got 3 controls to help make your BBQ fun and easy, and take out some of the guesswork in trying to control temperature. 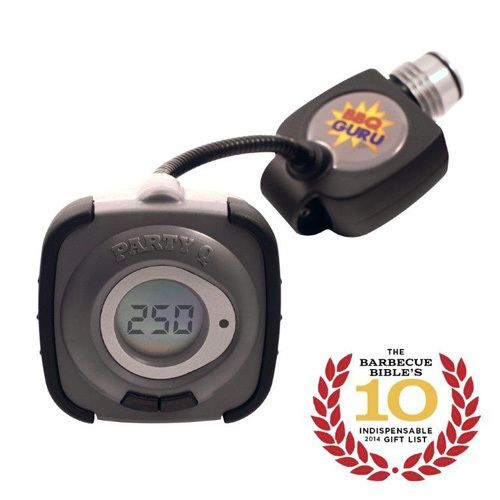 BBQ Guru's entry level device, the PartyQ, runs on four AA batteries and provides temperature control for most small-and medium-sized cookers. 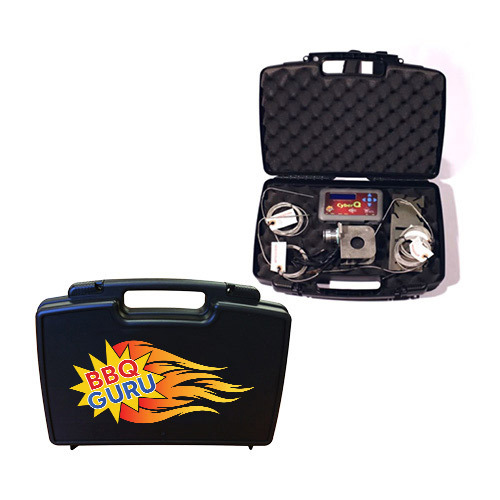 Because it's portable, it's great for your backyard, tailgates, picnics, camping, the beach, or wherever life takes you and your BBQ. 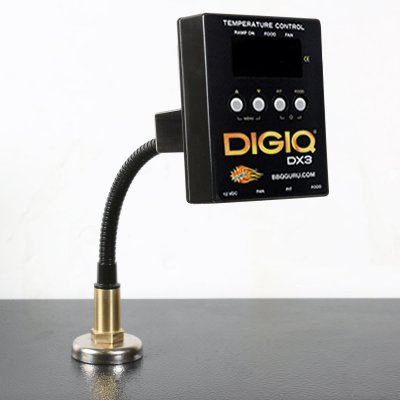 The DigiQ adds a digital food thermometer that constantly tracks your meat's internal temperature. This way you can easily pull your food off the heat at the exact moment it reaches its peak of perfection. 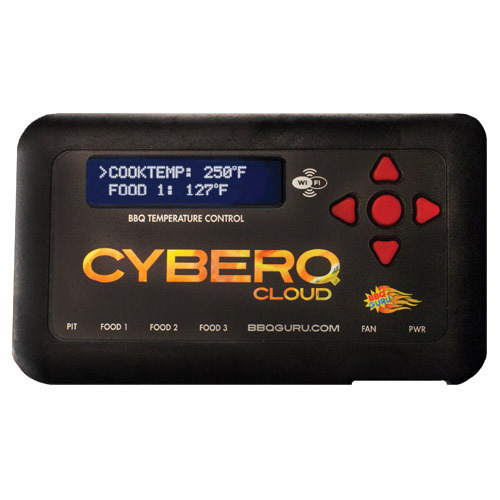 The CyberQ Cloud comes with three digital food thermometers and is WiFi enabled so you can monitor and control your cook temperatures and watch up to three food temperatures from the convenience of your mobile device, tablet, or PC. 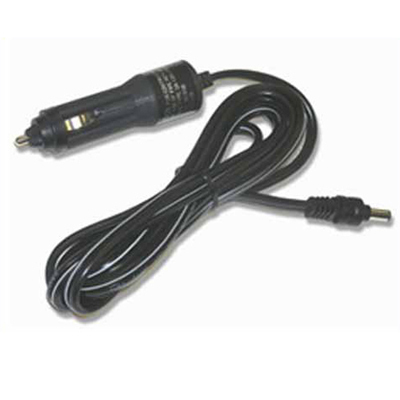 It can even notify you by e-mail or text message when your meat is ready.